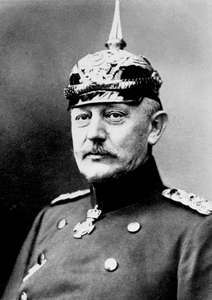 Although the quote “No plan survives contact with the enemy” and its variations were often attributed to Eisenhower and occasionally to Erwin Rommel, its real originator was Helmuth Von Moltke, a Prussian field marshall. That said, his version was sometimes translated as ““No operation extends with any certainty beyond the first encounter with the main body of the enemy,” which isn’t so pithy and word-balloon friendly. Taro isn’t so great at tying himself up that he’d fool an expert, but Byron’s an ax guy, not a ropes guy, and both adventurers are distracted by the absurdity of the situation, which Taro barely has to embellish. Jump cuts within pages are a device I like a lot more than Phil does. We’d tend to see them less as GA went on. I generally side with Phil on the jump cuts…you mentioned in yesterday’s commentary one significant issue with it – in a certain subset of situations, it can be confusing, or at best make the artist work harder than they necessarily need to to avoid making it confusing…but even beyond that, in a page-a-day (or page-every-two-days) webcomic format, it can rather overcomplicate the pacing. On the other hand, Tropes Are Not Bad, and this page doesn’t suffer from either of those issues – the scenes are well-differentiated, and I think this is actually the best pacing possible for this pair of scenes. It’s one of those things (like many) where it’s easier to pick at why specific ones don’t work than to figure out how to always get it right. In the case of the one two pages ago, I think the main stumble for me was that it was at a point where you’re expecting the camera to turn around. Kick in a door, someone speaks off-panel while the kickers look shocked, you expect the next scene to be what they’re looking at. If you’re already expecting a different room/character/etc then there goes most of the cues for a scene transition. So it stumbles, the brain tries to sort it out, and that Von Carnaj panel didn’t have anything to establish that he was up top with Best so there weren’t helpful ces in that direction either. Not to mention that the sight of Von Carnaj ranting would be enough to widen eyes. I dunno what everyone’s talking about. I’m following it just fine. 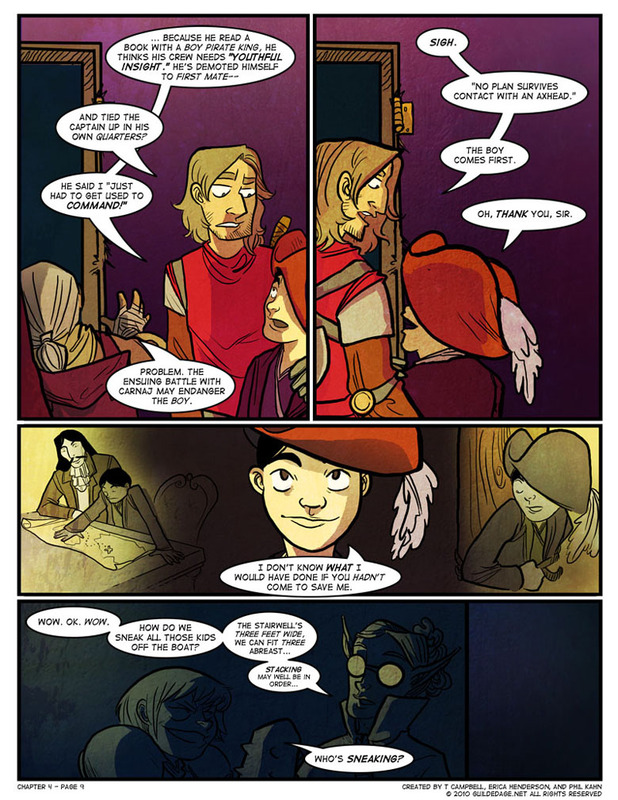 Von Carnaj and the crew are off fighting Best by the front bow; Gravedust and Byron sneak into the cabin and find Taro; Syr’nj and Frigg go below decks and find more kids there. What’s the issue?